NEW FLAVOR! Snacks giving you breakouts again? 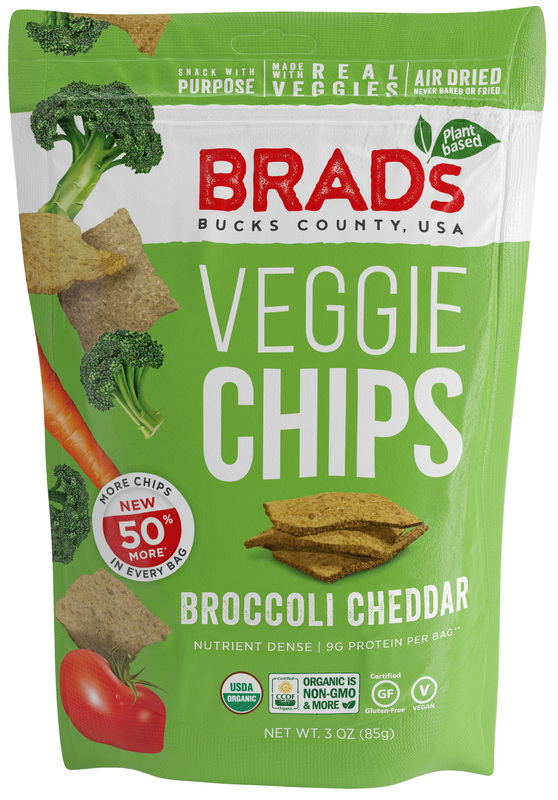 Keep your skin glowing, and your immune system pumping with Brad’s Broccoli Cheddar Chips because it’s way easier to eat broccoli when you realize it = one less trip to the doctor. Besides, what would you rather; more of the good stuff, or empty calories? Ask yourself, what have your snacks done for you lately? Choose Brad’s. 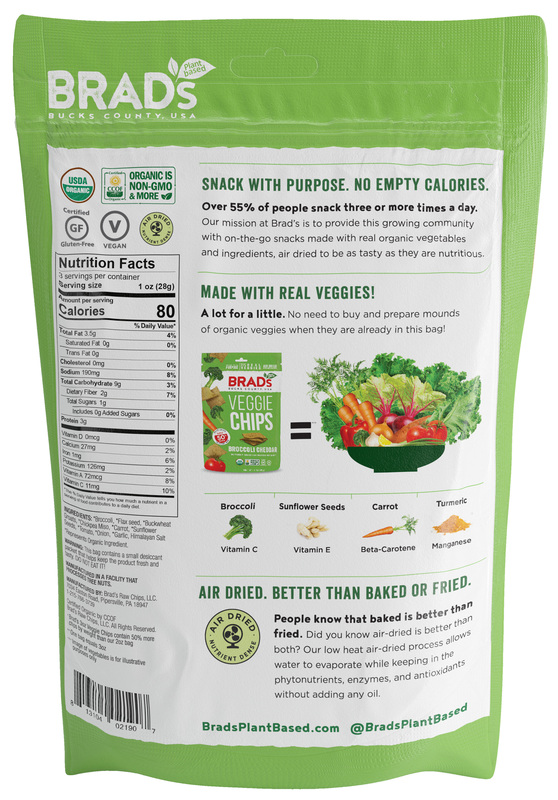 Snack with purpose. You deserve it.